you find it to be a stressful process. 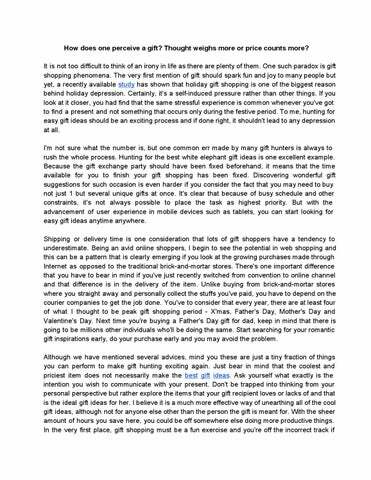 How does one perceive a gift? Thought weighs more or price counts more?